A Few Scraps: Free-Motion Quilting Essentials starts today at Craftsy! Free-Motion Quilting Essentials starts today at Craftsy! This is the day I've been waiting for! 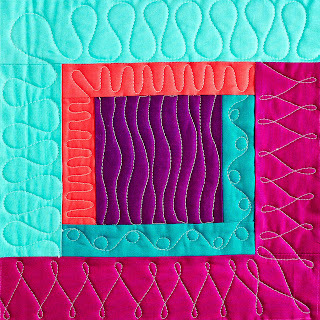 My beginner's free-motion quilting class, Free-Motion Quilting Essentials, is now available on Craftsy! I got the chance to watch the lessons the other night and I am very happy with it. This is a great way to bring my style of teaching to you wherever you are, so you can start your FMQ adventure with confidence. I've had a good time teaching with Craftsy so far, and I look forward to connecting with more of you over there! I lead you through a bunch of free-motion exercises on screen. You can watch me do them, then you can do them yourself, getting hours of practice one step at a time. In the course materials there is a "Free-Motion Quilting Cheat Sheet" to take with you to your machine to remind you of the steps to take as you get started. You get to see me quilting on an actual quilt in the final lesson. And...I do that on my grandma's old Singer Featherweight! 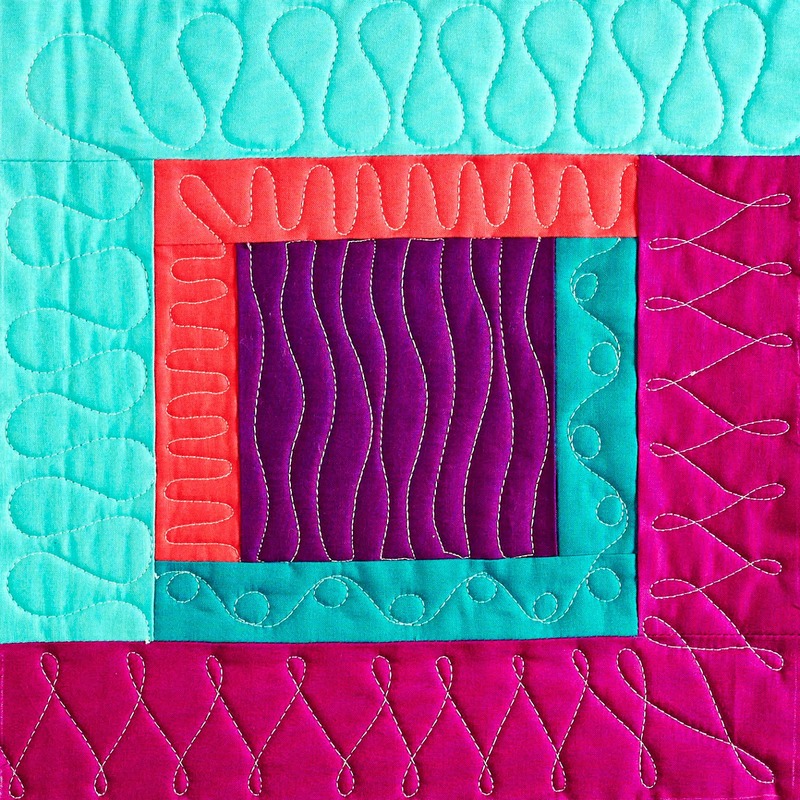 And here's my treat for you, blog readers: a special link to get the Free-Motion Quilting Essentials class for $20 off, which makes it less than half price! I hope that makes you smile. Thanks for being so supportive of me and my teaching, telling me where you get stuck and what you find helpful. It really keeps me going. The discount has expired on Craftsy. Want a preview? Here's a little video to watch. Well that's my big news, what a great way to start the week. If you take the class I'd love to know what you think! Happy stitching everyone. Hi Christina, I have only ever taken 1 quilting class and none on free motion quilting (FMQ). I have made 5 simple quilts and attempted to do FMQ on one of them with limited success. If I want to learn FMQ should I start with this class or a different one? I've never taken a online craft class. How long do we get access to the online videos once we pay? I got the class, so there is a smile on my face! I have both your books and love them. Thanks so much for giving me the confidence to keep trying. Congratulations Christina! I love that you demonstrate on a Featherweight. I've talked to so many quilt makers who believe that they need to spend a lot of money to be able to machine quilt on a DSM and it simply isn't the case! Thanks Everyone! Joyful, this one, FMQ Essentials, is the one to take if you haven't had much success with FMQ. I hope to see you over there! Once you buy the class your access doesn't expire, so you can always come back and review when you're about to quilt again. Happy stitching! Thanks for the deal. I signed up immediately and look forward to watching the videos. I just purchased a Janome Skyline S5 because I wanted to learn how to free motion quilt. I can' trait to get started. Woops. That was "can't wait". Darn the auto incorrect. Thank you for the link! I just bought the class and watched the first lesson. I keep trying to improve my FMQ skills. I think I may be a Craftsy class junkie :-) but I must say, I really enjoy your approach and the step by step method you use. I learned some new things I haven't been doing from this first lesson! Yay! Today I just enrolled in your other Craftsy class, The Secrets of Free-Motion Quilting!!! I love ALL of your quilting and hope to someday be as creative as you!! Congratulations, Christina! Your other class was great, so I'm sure this one will be just as good!! Congratulations Christina. I'm sure this class will be a big success. Congrats on your second Craftsy class! I am sure it will be excellent. Hi Christina! I loved your first class on Craftsy and I just finished viewing the first lesson in the prequel class. It was every bit as good as I expected it to be! I bought your class and have watched two videos. I can't wait to get started on all the lessons. You make it look so easy. I know it will just take practice. Thank you for the class. Wow! Congrats and thanks for the coupon code. You are a fantastic teacher on paper (digital and real) and I bet you are even better live on craftsy. Thank you Christina. I've purchased your class and am watching the first video. It looks like it will help me a lot though I won't be able to actually do any quilting until late summer (which is why I was asking how long I have access to the videos). I like your presentation and voice on the video which is so soothing and encouraging. Enjoy your summer. Congratulations Christina! Woo hooo! I've enrolled even though I have had some success, just to see if there is a better foundation that I can lay. Thanks for the sweet deal on the price too! You have inspired me with your Free Motion quilting. I have six projects waiting to be quilted, so I just stopped everything I was doing and purchased both of your books and your newest class on Craftsy. O.K. I am ready to begin a summer of FMQ!!!! Hooray!